The number one concern people have when they begin researching a new supplement is how effective it will be in treating their ailments. Many people want a magical pill that they can take that will immediately provide relief of their symptoms. However this is not an option in most cases. Some people have expressed concern that the effects of Flexcin are slow to set in when they want immediate results. Since Flexcin is comprised of natural ingredients, it takes time for the body to adapt to the supplement. After 4-6 weeks of consistent use, people will see a drastic difference in the pain they are experiencing. Other joint medications take just as long to deliver any results, and most people complain that although their pain has lessened, it is still present daily. 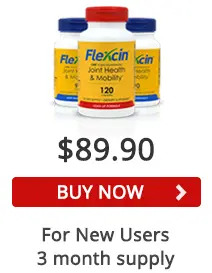 Flexcin users rave about how much it decreases and even eliminates their pain. 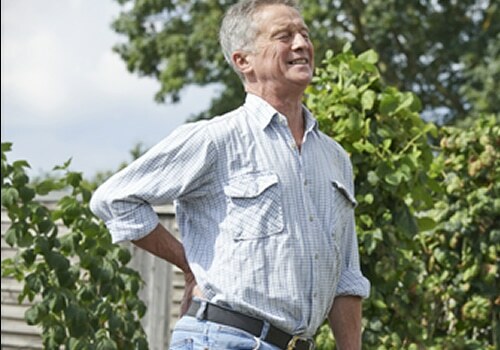 The average joint medication provides only relief to 20% of the user’s pain, but Flexcin has been reported to eliminate 80-100% of pain making it 4-5 times more effective. It is important to remember that the best results will be seen after consistently taking Flexcin for 30-45 days in addition to a healthy diet and exercise regime. One of the biggest benefits about taking Flexcin is that it is not a drug. Flexcin contains all natural ingredients including cetyl myristoleate, CM8, a chemical compound that is comprised of cetyl ester and myristoleic acid and is naturally derived and highly purified. CM8 and the other natural ingredients in Flexcin all contain anti-inflammatory properties. 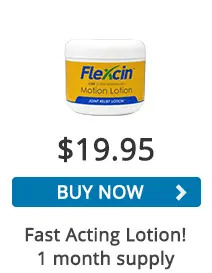 Flexcin works as a joint lubricant and reduces the pain for those suffering with arthritis, bursitis and other joint ailments. Numerous studies by doctors and patients have shown the use of Flexcin comes without side effects. It only has positive effects on those taking it. However, people taking prescription drug joint medications only see relief in a small amount of their pain and also experience several side effects. 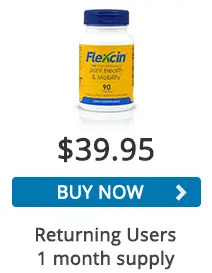 Flexcin also comes with a 100 percent money back guarantee; you can get your money back within few weeks of using the medicine, if you are not satisfied with its results. Overall, Flexcin is a tested and approved supplement that has received great reviews by those who have taken it consistently. They are pleased with the big difference in made in their pain levels after taking it for 30-45 days. Their quality of life is improved by this supplement and it is worth the wait of a couple of weeks to see full relief of pain. Today is day one on Flexicin Load Up Formula. I have OA and RA. I already have joints replaced on left side in knee and shoulder. My right knee needs replacement within a year. My fingers, feet and right shoulder hurts. I will comment more if and when I start feeling a difference with this product. Normally I take ibuprofen in the morning. I have tried glucosamine and chondroitin from many different companies, all with no result. I have also been on Meloxicam which did nothing for me. I hope this works.